1 hour phone consult - get all of your personal nutrition/fitness questions answered. It is the small things that you do or don't do that make the biggest impact in your body, fitness and health. 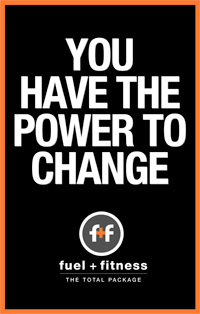 Let F+F help you get results and meet your goals.